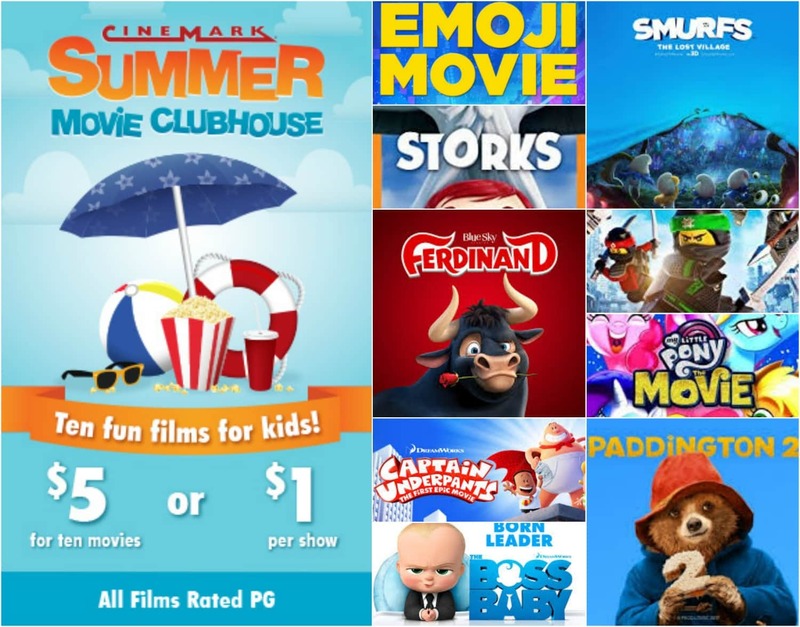 This summer the kids and I are going to take advantage of the 2018 Cinemark Summer Movie Clubhouse. Cinemark $1 movies are back this summer. 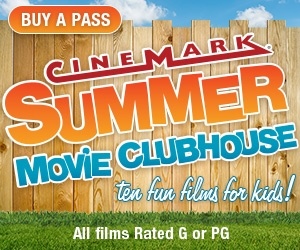 For a limited time, you can even get the Summer Movie Clubhouse pass of 10 movies for only $5 making each movie $0.50! If you scroll down you will also find a link to print off the schedule for your local theater that includes a coupon for $2 off a popcorn or soda! *I will update the schedule for 2019 as soon as it is released! If you love watching movies on the big screen but you can’t make all 10 movies, no worries. Cinemark is offering a $1 a movie special every week. You simply just have to walk up to the box office at any participating Cinemark theater on the day of the shows. Each theatre has different movie showtimes and dates available for the Cinemark $1 movie promotion. Regal Theatres also has a summer movie program, the Regal Summer Movie Express. What is the Cinemark Summer Movie Clubhouse? The Summer Movie Clubhouse is a ten-week program of recently released G and PG films for kids. The cost is $1 per person per movie at the door the morning of the program. A ten-week series punch card is available at the theatre box office or online at Cinemark.com for $5, while supplies last, at participating theatres. Click here for the 2018 flyers of your local theater. I have posted the ones here in Indiana that are participating in The Summer Movie Clubhouse with Cinemark $1 Movies. The flyer also includes a coupon for $2 off a popcorn or soft drink so be sure to print it! 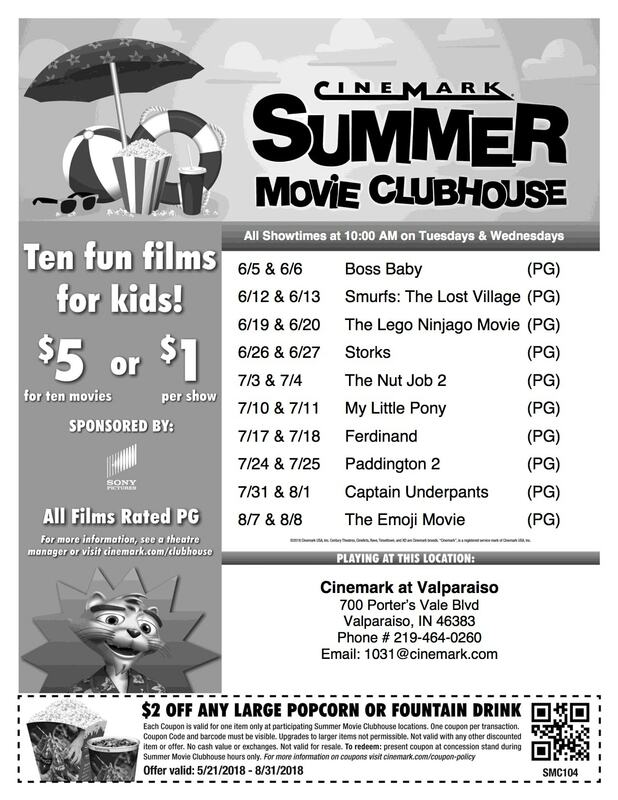 Here is the lineup for the Valparaiso Cinemark summer! While each participating theatre may have a different schedule, here is a list of shows that will be playing this summer! Summer is already shaping up to be a fun few months. 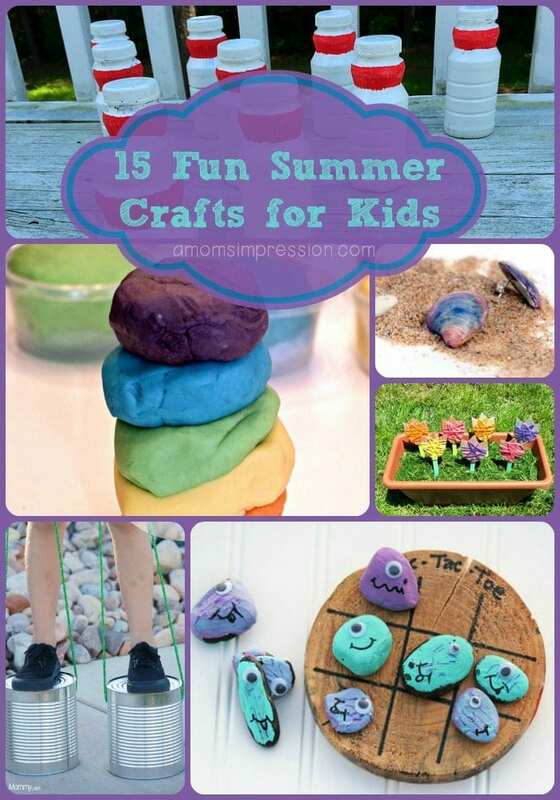 If you are looking for some more summer activities to do with your kids we have some great ideas. 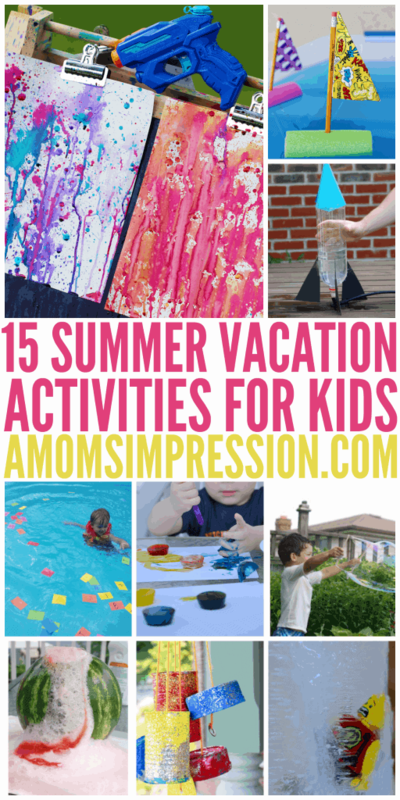 Here are some of our favorites outdoor activities.